Angela Curran is a Partner and Head of Medical Negligence and Serious and Injury and is based at Burnetts’ Newcastle office. She is an expert in the sensitive area of birth trauma cases, working extensively with children with cerebral palsy. She is described by the Legal 500 as “very impressive” and “analytical and perceptive’’ and in Chambers & Partners as “a genuine specialist”, “really knows her stuff”. 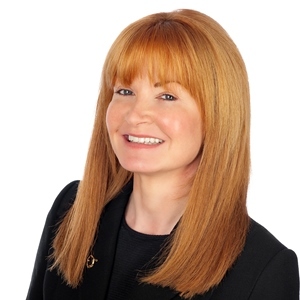 Accredited by the Law Society for her experience in both Clinical Negligence and Personal Injury cases, Angela is also a member of the Court of Appeal Mediation Panel. She is an experienced mediator and sat on the SRA’s Alternative Dispute Resolution committee which drafted policies and guidance for lawyers who favour a less confrontational approach to resolving disputes. Angela trained with Newcastle’s Watson Burton, where ultimately she was a Partner and Head of clinical negligence as well as at Irwin Mitchell Newcastle. Angela is a Trustee of The Percy Hedley Foundation which is a specialist school for children with cerebral palsy, children with hearing or visual impairments and children with speech, language and communication difficulties. She lives in Newcastle.